November is Financial Literacy Month in Canada, with this week’s theme “Make Informed Decisions”. There are many ways you can make informed decisions, but I’ll focus on making informed decisions based on your personal spending. 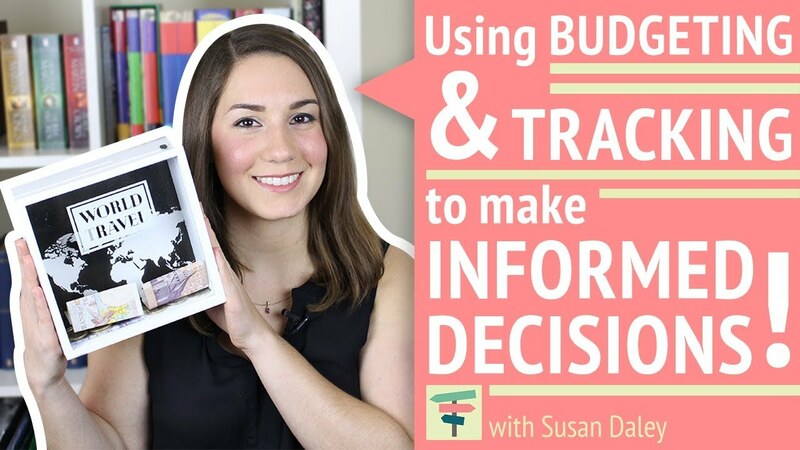 Below, you’ll find the different ways to budget and the real reasons for budgeting. The first way to do this is to track every dollar you spend and group it in narrow categories, which is likely why so many people find budgeting tedious and daunting. However, having a template budget that outlines lots of little categories might help think about where all your money actually goes. The second way to budget is to use broad categories. The first example is the 50 /20 /30 rule, where you break spending out into 3 main categories: essentials, saving & debt repayment, and lifestyle spending. The second example is breaking out your spending by fixed expenses, variable expenses, irregular expenses, wants, and savings. As long as all your spending and saving fits within the percentages you’ve allocated towards each category, you don’t have to break out each individual expense. The final way to budget is to simply focus on the amount you need to save. Determine the amount of money that you are able to save on a regular basis and spend the rest however you please. This may require some initial tracking to determine how much you can feasibly save on a regular basis, or you can determine the amount you need to save on a regular basis (based on guidelines or a financial plan) and adjust spending each month to meet that savings target. While this is the easiest method, it might not be ideal when using your budgeting information to make other decisions. I’ll talk about this below. In any case, the best way to ensure that you are saving the right amount on a regular basis is to pay yourself first. This means immediately and automatically setting aside your savings, so it isn’t available to spend. Setting up your budget and tracking your spending against that budget on a regular basis can be done using a variety of methods. You can go the old school route and track your spending manually, using a piece of paper, a notebook, or even a physical envelope. Depending on how you do your budget, you can either type in each transaction into your excel spreadsheet, or you can download all your banking transactions into one file and categorize each of those transactions. Many apps will automatically pull your spending from your bank and/or credit card and categorize the transactions for you. Reminders and notifications can be set up if you are about to exceed your budget. Examples include: Mint, You Need a Budget, Quicken, your bank. There are lots of people talking about their personal budgeting online, so I’d suggest doing some research to determine which one works best for you, and trying new methods if you get stuck. Now to the important piece of budgeting – using it to make important decisions. You determine what areas you can and need to cut back on and stick to that plan. Perhaps your savings rate is sufficient, but you find that you’re not able to travel or socialize as much as you’d like. In reviewing your spending, you can determine what spending areas you could reduce (clothing, for example) to put more into spending areas that you value (travelling and socializing). Emergency Funds – Understanding exactly where your money is going on a monthly basis can help you calculate how much of an emergency fund you need to set aside. If your monthly spending is $2,000 per month, and you could easily cut back $300/month in an emergency, you’d need $5,100 for a three-month emergency fund ($1,700 x 3) and $10,200 for a six-month emergency fund ($1,700 x 6). Insurance Coverage – Knowing what your regular spending is can inform the amount of life and disability insurance coverage you need. Tracking your spending and saving provides information on how much you are currently able to save for various goals – retirement, children’s education, house purchases, etc. As you can see, some sort of budgeting is important for your financial future. The more detail you maintain, the more informed your decisions can be. I personally use an excel spreadsheet since I find the paper method far too clunky, but the automatic apps far less effective. I break out my monthly budget into detailed categories like gas, rent, utilities, insurance, groceries, eating out, clothing, exercise, entertainment, etc. and use the 50 / 20 / 30 Rule to determine broadly where my spending should be – in other words, making sure my spending on essentials and lifestyle expenses aren’t above the guidelines. I pay myself first by setting up automatic savings plans into saving and investment accounts each month. Finally, I input each transaction I make for the month into each category in my budget spreadsheet to compare my budgeted spending to my actual spending. The Rational Reminder Podcast Episode 20 - The Cost of Financial Advice: Should You Pay For It and If You Do, How Much Should You Pay For It?